When a 16 year old kid 5″5 ft walked in to the crease in 89″ who would have thought he would have a journey of 24 years with excitement ,fun ,drama ,action all that a masala movie would have in 3 hr this guy had it all he was none other than Sachin Tendulkar . Sachin Tendulkar ,is not going to be seen again on the field from now onwards ,but he has was one of the players ,who has given us so much moments to remember through out our childhood .And a career spanning 24 years just tells us “he was 16 years old with 24 years of experience “.He was also one player ,who just did what he knew – that was to play cricket . He Sachin Tendulkar is a brand for the country who has changed our national sport from hockey to cricket ,you would hardly see people watching hockey ,but cricket everybody did .He has been an inspiration for so many that the current Indian team have all been inspired by him to be part of the game . Sachin Tendulkar has created so many milestone and records that there isn’t any point in watching the game because they won’t be broken. He had the passion,dedication that showed by he played ,even during his comeback from injury he was written off ,but it did not matter . 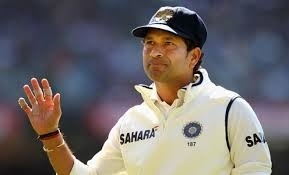 There will be no one like Sachin,nor would there be another Sachin . Because Sach people are rare!!! The two American brands !! !